All clients regardless of the services they are seeking want to get value for their money. Legal services are expensive and the client wants to be sure that they will not invest lot of money in your firm and lose their case in court. This blog is about highlighting the things that make your law firm stand out. This includes the credentials of your attorneys and a mention of your track record that reflects your professionalism and expertise. Many people have a preconceived notion that high quality legal services cost an arm and a leg. This blog is about assuring that your law firm offers competitive legal rates. Emphasize that the fair rates that you offer clients does not compromise on your level of professionalism and quality in your delivery. With the increase in the number of single parents and divorce, there are so many people who are raising children independently. This should be a very elaborate and informative article that will make the reader gain confidence in the expertise of the law firm. Before filing a case in court most people will want to find all the information they can about the matter. This blog provides clients with information about getting visitation rights for their child who has been separated from them for one reason or another. The blog will also direct them to your law firm too get more legal advice and representation if they need that. Most people are unaware of labor laws and their provisions with regards to disability. Discrimination at the workplace because of a certain disability or because of gender related issues is still a very popular subject area. This blog will provide some information concerning that and also market the firm as the right place for the client to source for legal help. This blog is about putting a human face to the legal system. Most clients feel as though the law firms are only after their money and they are least interested in them and their problems. On this blog, you can talk about a pro bono program that you hope to start in the future and then introduce the client to the services that you currently have. Everyone wants a fare deal out of a divorce process. This blog should provide the reader with what divorce entails, the challenges and how important it is to get good legal representation. Provide the reader with the impressive profile of your divorce attorneys to assure them that with you they will be on the winning side. Most people do not understand what they are entitled to when they are undergoing a divorce. This blog provides reader with all involved and then advises them to seek legal help from your law firm. Statistics indicate that over 35% of clients will seek legal advice online before the walk physically into a law firm. This blog is about showing the client that you care enough to provide them legal information on the internet. Provide the reader with the necessary contact information to get to you in person. Very few people can pass the chance of getting free things. The same applies to legal services. Write a blog about how easy it is to get access to your legal experts. Inform the reader of the many legal topics that you have discussed on your website that they can easily get access to and provide hyperlinks to these pages. 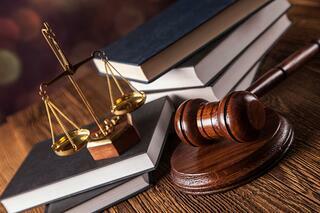 Provide the reader with a variety of legal services that you offer and give them your contact information. For Part 1 of this blog click here!